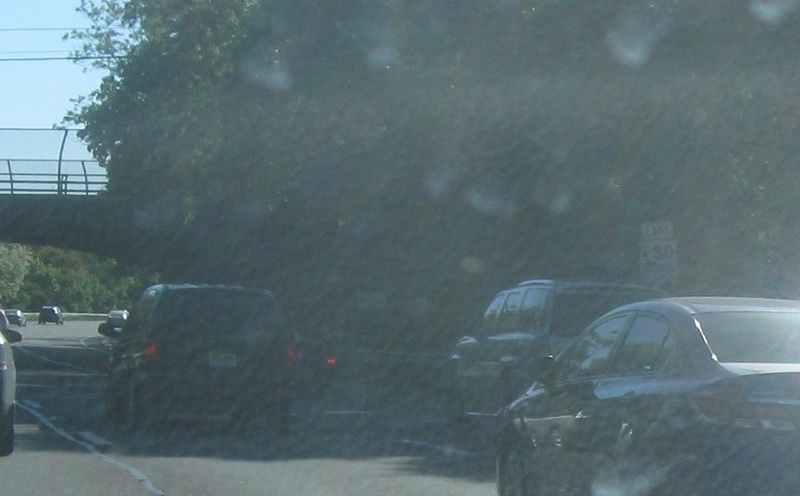 Just after Route 106, we’re a mile from the Wantagh. 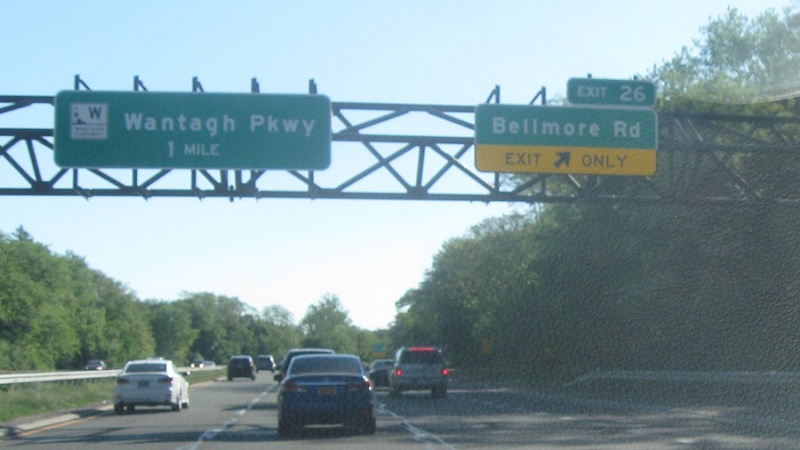 Reassurance shield after the Bellmore Rd interchange. In a half mile, we’ll approach the Wantagh. 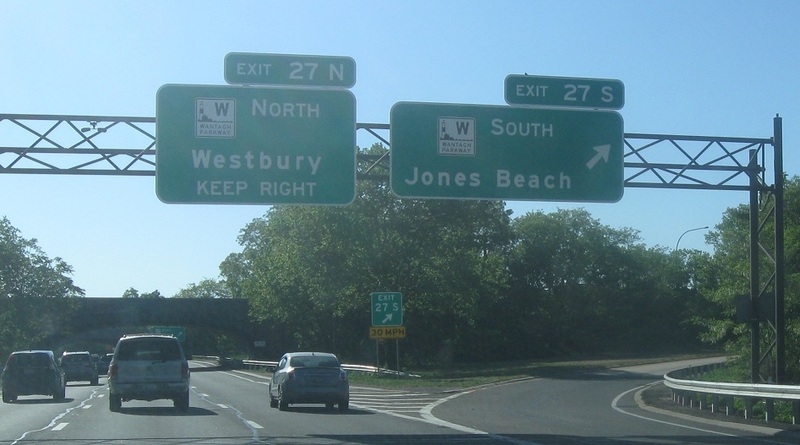 Follow the southbound Wantagh to Jones Beach. 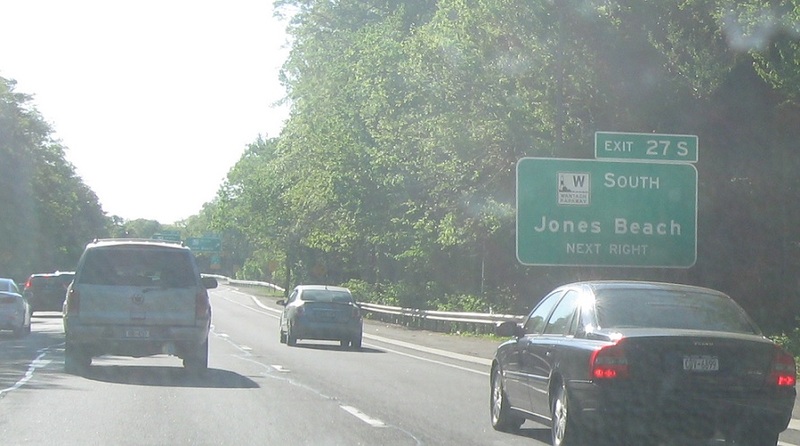 Exit for the southbound Wantagh. 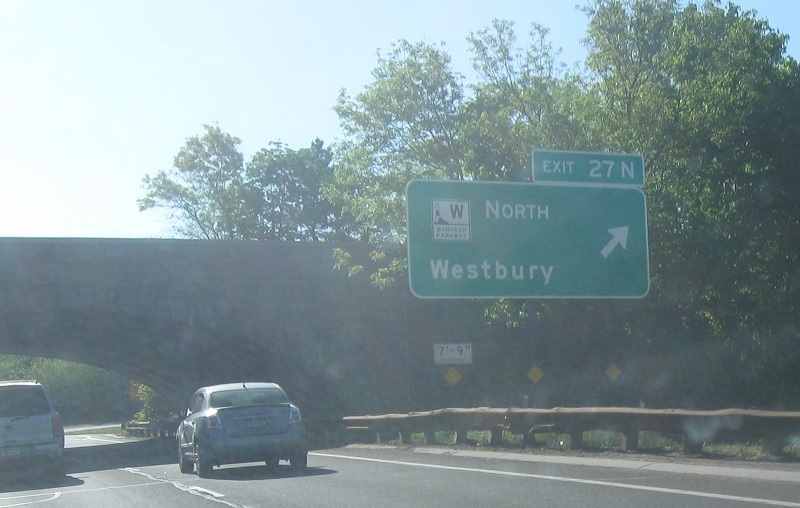 Follow the northbound Wantagh towards Westbury.